Although you are probably locked inside your home like a prisoner because of winter weather, it doesn’t mean you shouldn’t get your mind ready for the summer. Before you know it, the snow is going to melt, gardens will start to bloom, and you will start shedding those extra layers. Perhaps you plan to have some barbecues and backyard parties this summer, and you might be thinking of ways to pull it off. One of the things you might be considering is getting some new patio or other outdoor furniture to accommodate your guests. But that opens up a whole line of things for you to dwell upon, such as what you should get and how much you should spend. To solve this dilemma, consider visiting an outdoor furniture outlet like Beliani to find great options and great prices that you won’t regret paying. You have most likely been on the hunt for new furniture at some point. For some, it might be a joy, while it is a pain for others. Your experiences in looking for new furniture might be either positive or negative, or somewhere in between. One thing that is for sure is the time, energy, and money involved with looking for, and buying new furniture. There’s the hours of searching the web, to find that perfect set. You might creep through blogs, websites, and social media sites like Pinterest. You can then imagine (or even remember) what it was like to search for new furniture without the internet! Then there’s the actual time you spend going to stores to try out, and interact with the furniture. You might stroll from aisle to aisle, and section to section, trying to look for other choices and alternatives. Dozens of sales reps will visit you, with smiling faces and bubbly personalities in order to convince you to buy the furniture on display. You might even have to do this, while carrying or supervising restless kids who want to run wild. This becomes an ongoing process, until you narrow your choices down to a few or one. And then there’s the most damaging part of buying furniture. That’s paying for it. While there’s a lot of beautiful furniture out there, a large portion of it will make your wallet cry. Your choice of furniture might make your backyard look magnificent, but it might leave your wallet in an underweight state for a while. Yes, these are the joys of buying new furniture. Is there a way to make all of this easier? Everyone’s circumstances vary. Depending on your mood and your desires, you may feel that the above mentioned experience may not be so bad. But if you are looking for convenience and reduced costs, then you might want to consider shopping at an outdoor furniture outlet, especially one that operates online. The digital era has made it possible, and much easier to shop for outdoor furniture in a convenient and affordable way. So take advantage of it! Shopping online for furniture eliminates the time and energy-consuming task of having to walk through aisles and sections to view furniture. If you aren’t too picky on being able to see your furniture right in front of you, there is a grand gallery for you to search through. The gallery essentially replaces your aisles and sections, and you can let your eyes do the “walking.” It’s a great feeling knowing that you can shop for great furniture while sitting in the comfort of your living room! The other benefit to shopping online through an outdoor furniture outlet is the opportunity to keep your wallet at a healthy weight. While you may not drop a wad load of bills on furniture, you still might face a hefty credit card bill from spending at a major chain. Since these online stores don’t sell through brick and mortar shops, manufacturers can sell their furniture directly to customers like yourself. This cuts the need for a retail furniture store (since retail stores add on storage, markup costs), which ultimately means you end up paying considerably less for furniture. Again, if you are adamant about convenience and saving hard-earned cash, then online shopping through an outdoor furniture outlet may be right for you. 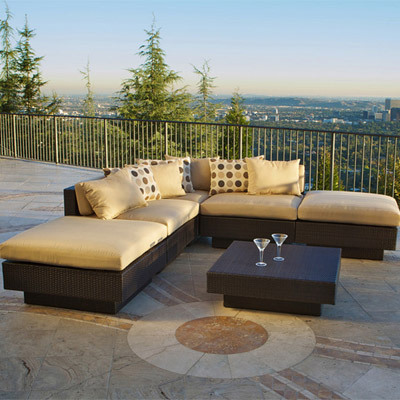 Depending on your past experiences or recommendations from friends and family, you might resort to shopping at big furniture chains for outdoor sets. You might have already pledged your allegiance to store brands, in order to buy your summer furniture. But have you ever walked into these stores and then walked out empty-handed, dragging along in frustration? Perhaps you noticed that there wasn’t too much availability. Or perhaps you want something that’s more exotic and provides the highest quality. Shopping through an outdoor furniture outlet can satisfy those desires. For example, if you are looking for an outdoor set that is not in season, you probably couldn’t find it at a regular store chain. However, an outlet for furniture online can come to your rescue in this sense, since the manufacturers are likely to have rarer items in their inventory. So the next time a friend comes over and asks about your set, you can brag about it being “exclusive”. 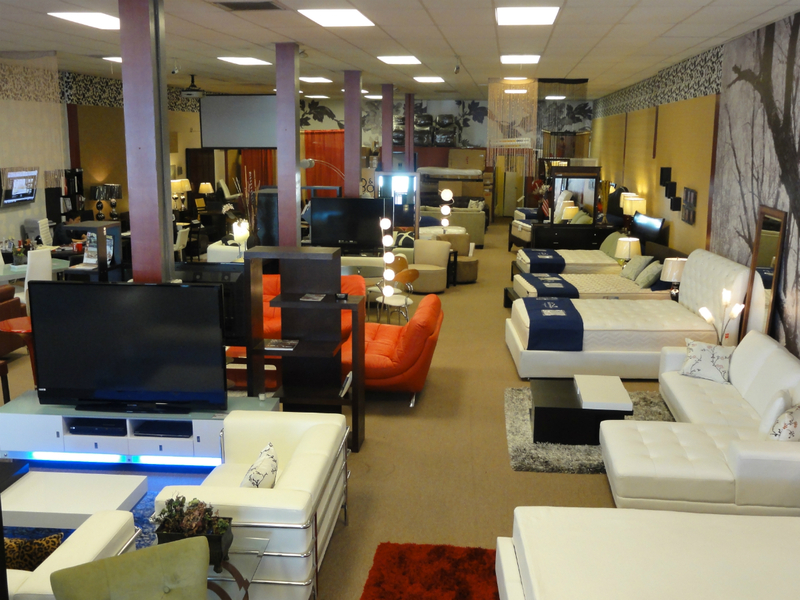 If you are seeking top-notch quality, then you might also want to take the time to shop at an outlet furniture store. Outlets often sell showroom floor models which are polished and delicately cared for, which means they could be in better condition than warehouse stock. This gives you an opportunity to own furniture sets that are often difficult to find in typical store settings. If you are looking to buy some new outdoor furniture, that is both affordable but high-quality, then take a stroll through the gallery of an online outdoor furniture outlet. Doing so will give you the convenience you crave, while still offering the selection and variety you desire. After you make your decision, it’s just a matter of clicking a few buttons, and you’ll have your brand new furniture delivered to you before you know it. With that said, you can start making plans for the summer with no need to fret about buying new furniture! Communication training is one of the most important skills that a person looking to climb the corporate ladder can climb. However, it’s also equally as valuable to maintain these skills in small businesses. Employees who are strong in communications will always outperform their peers who neglect these essential skills. If you look at communications, though, you see that it is actually a very nuanced fields. There are many different sub-fields that complicate matters. One of these big differences is the conflict between the philosophies of traditional business and the newer AGILE viewpoints. Imagine if you ran into an English major who had devoted themselves to studying English – but not grammar, literary theory, or the classic works of literature. That would be a very odd education indeed, and yet people hold this viewpoint when it comes to the field of communications. In reality, there are many ideas and tools in communications, and one of these tools is Microsoft’s SharePoint training. To ask what SharePoint training is, first we have to understand SharePoint. Microsoft SharePoint is a web application platform that was originally launched in 2001. Despite being over a decade old, SharePoint has a rich history and has been updated constantly to be in line with current business practices. SharePoint is focused around content management and document management at its core, but it also boasts significant capabilities beyond that to be a jack of all trades in the application world. If you are used to Microsoft Office, you’re in luck – the two applications are linked, and SharePoint’s interface has several similarities with Office. SharePoint training offers two skill sets. The first is how to use SharePoint, and the second is to actually use it in the day to day work of a business. Small businesses get huge advantages from this training, as larger companies can often dispense the personnel needed to train people on their own. Smaller companies have to deal with economy of staff. A training session is the perfect way to pick up the skills without sacrificing the day to day efficiency of your company. How Do These Features Help My Small Business? SharePoint helps increase communication between your businesses with these features. Many of them sound like empty business speak, but when you look at the practical applications, you may be surprised. Workflow automation, for instance, sets up a schedule that all of your employees can follow; expect an end to excuses about not being managed properly! This also frees up time for the managers to do the work they need to do, instead of supervising. Collaboration lets your employees work together in real-time – no more scheduling mishaps or games of telephone. These are huge benefits for a small business. Process integration gives a way to have a concrete example of the standards that your company strives for. With this list of standards in mind, employees have a tangible realization of what successful projects are. How Can I Obtain SharePoint? The small business owner on a budget will be delighted to learn that he or she can get Microsoft SharePoint at no cost, with two different versions from which to choose. If these versions fail to tickle your fancy and properly motivate your employees, never fear: there are premium editions that have additional features and cohesion to provide a better product for your business. With this selection of choices, you can pick whatever works for your company, be it a free option that has the minimum of features to help your business grow, or the full, paid version decked out with all the bells and whistles. There are also alternative means to obtain SharePoint. For one, you can get the product through a cloud model. Many third-party vendors offer this model. This is a way that has convenience and control without dealing with Microsoft’s hoops for purchasing. Some vendors may choose this as a hassle free method that won’t require support. Arguably, the best method is to purchase the Office 365 platform. This gives you the full range of office products – ideal for a small business that needs to handle any task that comes its way – and also enjoy the cloud service that comes with the package. If you’re a small business employee or owner who finds themselves routinely overwhelmed by the amount of work headed their way, or discouraged by the lack of communication between your teams, SharePoint Training can be the shot in the arm to revitalize your spirits and improve your company’s efficiency. Larger companies may have the manpower to spare for internal training, but when you’re a small business, being down multiple people for the sake of internal training can end up being a bigger risk than it’s worth. Make the right choice by embracing the training needed to master SharePoint and make your business even more of an efficient machine. You’ll see the results in your output and your organization. One of the most understood aspects in business and in life, is that we don’t always have control over the future even when we plan for it. Certain things change overnight, and what that means is that we have adapt to that change. If you work in the software development industry, you have most likely seen these kinds of situations unfold before. Working in this field, you know the importance of delivering high quality work in under tight deadlines, and it problems that arise can set you and your team back considerably. You may say that this problem is not new, and you what you really need is a solution to this problem. If you are a project manager, or anyone else who manages a team of programmers, consider enrolling or having your team enroll in a SCRUM course to equip your team with the skills necessary to work efficiently despite potential setbacks. Since When Does Knowing Rugby Make You a Better Project Manager? If you are rugby fan, the use of the word SCRUM might throw you off. After all, what does a rugby term have to do with the software development industry? If you are not a rugby fan, then here is an explanation. The term is actually borrowed from the sport, since the concept of it can work in many industries including the software industry. In Rugby, the scrum is the method of re-starting the game if the ball goes out of play or if there is a minor rule violation, such as a forward pass or a knock on. The scrum works by players of each team forming a pack where their heads and necks are meshed together along with locked arms. They must use their strength and technique as the opposing sides push each other in order to get the ball back into play. Since the scrum doesn’t always go according to plan, the players need to be spontaneous and they need to be self-organizing. So how exactly does this translate to software development? In 1986, university professors Hirotaka Takeuchi and Ikujiro Nonaka adopted the rugby scrum into the world of business as a new way to increase the speed and flexibility of product development. Their idea was that just like the rugby team scrum, the whole development team engages in the project with cross-functional teams working with each other throughout all phases. The combined spontaneity and self-organization within each allows the team to react to situations as they occur, even if they are not according to plan. This allows the team to respond to situations without having to stall or spend excess time trying to go back and figure out what went wrong. As a project manager, taking a SCRUM course can help you learn how to work within a scrum arrangement for a company that uses this method. You will find many benefits to taking this course, as it will improve both your efficiency and as well as your programmer’s efficiency. Enrolling in a SCRUM course will introduce you to the methods and techniques that the process uses. There are few methods that work quite effectively as SCRUM, but in order for you to be effective with it, you will need to learn the principles associated with it. Here are some of the elements you will learn in the course. The SCRUM Process: You will learn the SCRUM process and the various steps involved with it. You will get acquainted with the concept of product backlogs, sprint backlogs, sprints, and the results stage. Another aspect that will benefit you is learning how the programmers have to deal with sudden changes in the development stages. If you are a project manager, this will help you to improve your management skills over them and devise ways to help correct the problem faster. The Roles in the SCRUM Team: Organizations using the SCRUM method are able to make effective use of their workers in order to achieve goals faster and accurately. The course will teach you the more about the roles of the product owner, the development team, and the Scrum master, and how they all contribute to the operations of the team. Iterations and Timeboxing: The course will also go in depth about the most basic units of the Scrum process. You will understand the essence of iterations (the repetition of activities throughout the development process carried out in sequence) and you will also learn the importance of working in a ‘timeboxed’ cycle. You will become efficient and learn how to work fast in a short space of time. The SCRUM course is the first step to learning how to work in the SCRUM environment. Keep in mind that learning Scrum will make your job easier on many levels. The title of this article refers to making programmers more efficient. How does this affect your job as a project manager? These benefits make the job easier for everyone, since your programmers will have better control over the development process. And in turn, this means that you as the project manager will be better able to meet client demands over matters of scheduling, budget, and quality. As a project manager, you no doubt look for ways to improve not only your own efficiency, but the efficiency of all your colleagues. If you and your organization is aware of the benefits of Scrum methodology and are seeking to use the system, then a SCRUM Course is in order! Not only will the course teach you to be more efficient, but it will also teach you how to adapt and think creatively when situations arise. This will take your organization to new levels of productivity, and you may even do some innovative things along the way. Are you watching the clock right now? Sometimes, when you’re at work, every ticking second feels like a lifetime. It can be agony watching the minutes slowly unfurl into hours. People often blame their jobs when they find themselves in this quagmire. They might say, “My boss doesn’t give me enough work!” or “My coworkers are a pain to work with!” Very few people have the insight to look beyond their complaints and begin to look for a solution. Troubles with communication is usually one of the main factors that lead to this issue for employees and employers alike. 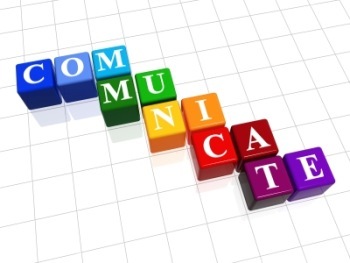 There is a solution for this troubling solution: communication training. Sometimes, people are initially skeptical of the values of communication, especially when they hear about training or courses. “Doesn’t everyone know how to communicate?” people, will sometimes say. However, this is not the case; anyone can talk to a coworker, but it takes a level of knowledge to communicate effectively. What’s the difference? Clarity and effectiveness. When you’re talking with your team at work, explaining an issue to your manager, or convincing a customer to take a route in their best interest, you want to have the best tools at your disposal. Communication training is there to help. This training starts on the inside: How do you look at your coworkers and your role, and is that an accurate perception of reality? Do you look at yourself as a team facing challenges alone, or do you get frustrated at things like people not understanding seemingly clear meetings, tasks being neglected when you thought they had been covered, or sudden crises overwhelming the staff? These are all problems that can be solved by this training, and you’ll feel more capable and accomplished every day at work. How Can Communication Training Help Me? It’s no wonder that people often feel unmotivated and bored on the clock when they’re simply not using the proper tools. Imagine having to run a kitchen in a restaurant with nothing at your disposal but some plastic cutlery and a scalpel! You’d likely find yourself quite frustrated as you tried in vain to serve a delectable appetizer with nothing but a plastic spoon. Communication is the same way; without the tools, you won’t be able to be as effective or get as much done, as you’re operating at such a handicap. Correct the deficit in knowledge, and you’ll notice problems disappear. Communication training will help you feel less frustrated and unmotivated at your job, as seemingly impossible tasks suddenly happen with less effort and annoyance. Not only that, but you’ll find yourself being gaining skills that will help you take control of panicked rooms and gain valuable connections to your coworkers. You’ll go from seemingly invisible in the office to a bonafide icon of productivity and tenacity. Just because you are stuck in a rut does not mean the problem is un-fixable. Many people feel as though communication training is a redundant skill that couldn’t possibly help them in their career. These people are often surprised by the strides they make in their personal and professional lives after mastering the skills taught in these courses. Tasks that would have previously taken hours of stress and work happen in half the time, coworkers who would barely lift a finger to help suddenly become star players, and when obstacles occur, mountains turn into molehills with a little elbow grease. Advancing in your career is a fine goal, but first it’s important to brush up on the basics and learn the foundations of skills that you’ll carry with you for the rest of your life. Communication may seem like a basic skill taught back in kindergarten, but it’s a complex art that can simplify your life and increase your happiness at work tenfold. Is a Stainless Brew Kettle the Best Choice for Brewers? Barley gruel: The words hardly sound appetizing, do they? Yet from this foodstuff we can trace the history of beer and brewing. Once upon a time, thousands of years ago, in a time and place lost to history, someone left a bowl of the stuff out in the sun. From there, the sun fermented the barley, making a tantalizing mixture. That was the birth of beer and brewing. From these humble beginnings, the brewing industry has grown and grown. Now, it is a multi-billion dollar enterprise that sells many brands of beer. However, there’s a rebellion against these drinks. Some people consider the mainstream beer to be too watery and weak; hardly a fitting tribute to the taste-buds. Now, people have taken up brewing as a hobby. They create microbrews, homebrews, and experiment with recipes. This hobby was once considered esoteric and rare, but it’s quickly becoming a trend. Many brewers have been experimenting with more than just the drinks; they’ve also been working on what is used to make the brew. The resulting products are varied, but amongst them, the stainless brew kettle is a popular and efficient choice. But is it the best choice for a brewer in such a wide and popular market? Read on to find out! What is a Brew Kettle? A brew kettle is essential for creating your own homebrews. These pots can look intimidating to an outsider: They’re covered and filled with pipes and valves, painstakingly constructed to create the best brews every time. This is hardly a trivial task, which means that you can’t skimp on the pot. You must go for the best kind with the best construction. Trying to brew in a pot without the right valves, thickness, material, or even addition is a nearly impossible task. Is It Important to Choose the Right Kettle? The drawbacks to the wrong kettle are numerous. You have to deal with problems from the beginning to the end of the brewing process. These problems are not little bumps in the road, but rather hazards that can derail your entire plan. If your pot is not durable enough, leaks will spring in the outside and lead to ruined brews and floors that need to be thoroughly cleaned. If heat isn’t evenly distributed through the material, then you will have scorched or uneven brews. If the material isn’t proper, your brews will be scorched and you’ll spend too much time scrubbing the pot and cleaning up after yourself to actually be able to enjoy your brew. Don’t let these mistakes happen to you – pick the right kettle. The brew kettle comes in many forms, some of them more popular than others. One slang term for kettles is a ‘copper’. Why? Because for a long time, copper was the standard for a high quality kettle. However, due to shifting markets and demands, copper has become prohibitively expensive. Since then, there have been many attempts to find a replacement. Some of them have been successful, and others have failed. Aluminum is the lowest priced material, which means that many new brewers make the mistake of picking it. It has all the right qualities that a kettle needs in terms of heat distribution, adaptability, and ability to build into the proper size. However, the cheapness of the material means that you will have to worry about leaks, bumps, and other breaks in the exterior. In addition, you’ll have to suffer through soapy brews if the process isn’t monitored carefully. Ceramic is one material that’s been proven to work through history. Ceramic has been used in ancient cultures, and is still part of interior decoration and kitchen accessories today. The original barley mash from history was likely held in a ceramic container. A kettle can certainly do the job if it’s made out of ceramic – but is it the best choice? There is one major drawback to a ceramic kettle, and that is the fragility of the product. 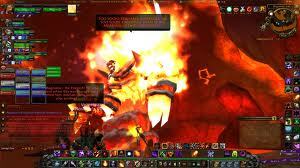 It can shatter at high heats or from accidental drops. While carefulness is a virtue, the brewer has more things on his or her mind than just worrying about the kettle constantly. This leaves us with the final popular material: stainless steel. A stainless brew kettle all the strengths of ceramic or copper – it gives an even heat distribution, can be altered with valves, couplers and other bells and whistles upon construction, and is perfect for brewers of all stripes. Luckily, it also lacks the drawbacks of the other contenders. The price isn’t as high as copper, it’s more durable than ceramic or aluminum, and soapy or sour tastes are absent in its brews. A stainless brew kettle has slightly more of an upfront cost, but you’ll thank yourself every time you avoid a repair or a replacement for spending the extra money up front. There are kettles of all sizes and materials, and the field of choice can be confusing to a new brewer who wants the best product but isn’t sure where to start. 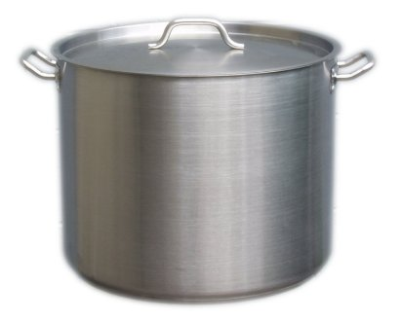 If you encounter one of these brewers, pass the word on: a stainless brew kettle can offer him everything he or she wants without any of the hassle or drawbacks. If they can pay the extra cash, they’ll love their new kettle, and you can welcome them to the brewing elite once they learn the basics. After all, brewing is supposed to be a fun and useful alternative to the big companies – not an expensive, filthy inferior. Make sure you choose the right kettle, or let your friends know which one is best, then enjoy delicious brews without regret. On average, an adult in North America will spend over one third of their lives at work. Is it any surprise that most people yearn to improve their work performance, advance up the ranks to a job that challenges their capabilities and leaves them feeling satisfied and accomplished? However, many of these people do not achieve this goal, ending up with a job that they’re not quite happy with, performing tasks that don’t quite leave them feeling fulfilled. Don’t let this happen to you – take the initiative and make sure you advance to where you want to be by taking a business analysis course. What is a Business Analysis Course? A business analysis course is centered around teaching you the skills that you will need to succeed in today’s tough, challenging, and sometimes volatile workforce. It’s easy to blend in with the crowd, doing the bare minimum amount of work needed, and never taking a risk; it’s also anathema for personal happiness at your career. These courses teach you skills you need to thrive, not just survive. You’ll learn to think quickly, reject traditional management strategies in favour of innovative techniques that maximize teamwork and output, and understand the sometimes seemingly incomprehensible business landscape and its patterns of success or failure. There are two major advantages that graduates of these courses hold over their peers: First, they have access to the skill-set taught in these courses. This skill set is incredibly valuable because it is something that goes against many businesses’ inner workings while also creating huge gains in production, worker happiness, and profits. Students will learn changes of perspective for many business traditions, such as using an alternative system to one manager overseeing twenty individuals working alone in cubicles by having the twenty-one people work together in a team as equals with a few people each working on one task that needs to get done. Students will also learn trains of thought that are centered around agility and adaptability, not company tradition or a route considered safe and comfortable. The results can be immediate; while in the process of gaining the certificate, you will be bringing what you learn into your workplace and applying it to real world scenarios. Your superiors and coworkers alike will no doubt notice your new problem solving and management skills. Having the tools and knowledge to tackle situations will boost your confidence and ability to tackle new scenarios. Your peers and managers may also be impressed at the fact that you are pursuing a certificate. Just this action shows a great deal of ambition and self-motivation; these are both important traits in the modern workplace. Any person can say that they plan to improve; after all, gyms are full to the brim on New Years, but just as those gyms quickly empty the following week, people rarely follow up on their spoken plans. You can buck that trend and pursue your certificate, proving your ability to plan and achieve goals without a manager looking over your shoulder. At the end of the road, you’ll have a tangible reward for all of your success: your certificate. Your certificate is proof that you went down the road less traveled of self-improvement and boldness. Office life will be changed forever for you as you apply your new work skills and tools learned in the course, and your ardour for learning and improving will be proven by the certificate on your resume. If you talk to any person one on one, it’s likely that they’ll talk about their goals and dreams in life. However, very few people have the courage to pursue their dreams and work to achieve what they want. Buck the trend and be one of the few who chase their dreams with ardour and zest. The end result will be shown in your career as you rocket up the ladder to your desired position. A business analysis course is the perfect place to start your new path and earn your dreams. Whether you’re interested in shooting the breeze with some pals, playing a board or card game, treating your friends to a delicious barbecue, enjoying some cold drinks under the hot summer sun, or otherwise wish to treat guests over, you need a place to host the festivities. While a living room certainly has its place, it does have some downsides. When hosting guests in the summer, the collective body heat can cause your living room to become overwhelmingly sweltering. Being inside means that you have to be conscious of knickknacks, figurines, and other souvenirs. Cooking a delicious meal for your guests – a time honoured tradition since humankind had both invented both fire and surfaces to sit upon – means being in a separate room while they talk and jest without you. If you’re wondering what to do when presented with this problem, and you happen to be a lucky home, condominium, or apartment owner blessed with a patio space, the answer is simple: take it outside! A patio is a great place to entertain guests, with its own set of strengths that make it more than just a second living room. However, you can’t bring guests out without having outdoor patio furniture with which to greet them. When it comes to choosing furniture, you want to avoid any issues of it clashing or failing to meet your patio space’s needs, so read onwards to find out how to avoid these dilemmas at the start. Colour – Warm, summer tones? Cool blues and greys? Vivid jewel tones? Budget – How much are you willing to spend? Are you flexible on this amount? Size – Are you going to be buying outdoor patio furniture for two or for ten? This is a great starting point, and allows you to help the salesperson help you. There’s nothing worse than starting a shopping spree with a blank space! Some patios are designed to be cozy and meant to be shared with a family, whereas other types are spacious and able to host a neighbourhood block party. The physical size of a patio can limit your choices of furniture and abilities. The effect this will have on what outdoor patio furniture you choose will be significant. You might have to scale back the size of the individual items you ordered: if you had plans for a gigantic patio table that could host a party of eight, you might need to rethink that idea. On the other hand, you might be able to make room for that table, but only if you sacrifice something else. Your two rack barbecue designed to feed a small army may need to be replaced with something more modest. While the original sacrifice is unpleasant, the result is a patio space that achieves what you wanted. Once you see your patio in action, your dreams will be replaced with reality, and you’ll be able to have a grand time. A patio is a fantastic thing, but remember that there’s a building attached to it. This building could be a two story home or a towering condominium, and either way, you have to contend with its presence. What colour is your building? Will the colours of your dream clash with the building’s colours – or will the lack of contrast cause it to fade away against the stone visually? Keep this in mind as you pick your furniture. In the same vein, an ultra modern patio set can look odd against an old fashioned building, and vice versa. For instance, the sun: a large condominium that stretches up many stories can block the sun on its ascent or descent – or allow it to shine into you and your guests eyes. Not only is this an irritation and a vision block, but it could potentially cause greater harm – without sunblock or an umbrella attached to the patio table, the sun can cause sunburn or heat stroke. If you have this sort of scenario, its important to prepare. Offer your guests sunscreen, sunglasses, or erect an umbrella. Another thing to worry about is the smoke from a barbecue if you live in an apartment or condo – ensure that your neighbours windows wont be filled with the smoke from your cookout. When it comes to outdoor patio furniture, the amount of options can be dizzying. Check out your surroundings and the limitations and boundaries of your surface, visualize a basic idea of what you want, and then shop around until you find the perfect patio set for your building and life. Summer afternoons and evenings become something magical with the right patio set, and your friends will love the experience. You’ll gain memories that last through the winter seasons, and by the time the weather warms, you’ll be ready to make even more! A business analysis certificate is one of the most valuable things that someone working in the field of business can obtain. Imagine if you were ready to take a trip across the ocean, and just as you were settled into your seat, you overheard that the person flying the plane was really more of a hobbyist than a professional. You’d likely jump out of your seat and evacuate the plane immediately! While a certificate is not mandatory, it will help you accelerate your career and display your skills, putting you a step ahead others vying for your dream job. What is a Business Analysis Certificate? Certificates, diplomas, and degrees are all an accepted part of life. Every fall, high school graduates go to university to begin the next step in their education and prepare for their career. In technical fields, candidates prove that they know the most top of the line technologies by taking tests and earning certificates. College students hone their skills to earn degrees that prove their merit. A business analysis certificate is in the same line as these achievements. These certificates show that a person has achieved a certain level of study and competency in business analysis; this makes them an attractive asset to a company or business looking for a new employee. Will a Business Analysis Certificate Help Me With My Career? This certificate will help you with both your job search and for building a career. This will work on multiple levels, and you can ‘cash-in’ on your certificate multiple times as you ascend throughout your career, from a starting position to your dream job. First of all, there’s the prestige of having a certificate: employers love job candidates who put time in outside of the job and put their best foot forward, and there’s no better way to do this than having a certificate that proves you know the field and worked to master the necessary foundations. The certificate also has the benefit of being much more specific than an all-purpose degree, such as an English degree from a university; these certificates are for business analysis, and this is a narrow enough field to specialize in while being broad enough to be perennially useful. The certificate is just a piece of paper that proves that you went through the business analysis courses, however, and those are the truly useful things for your career. Just as an English major learns the complexities of a semi-colon and the nuances of an ellipses, a business analysis student learns to look at the field and see the major factors that will lead to innovation or stagnancy, success or failure. These students are adept at managing the minefield of expanding a business while being experts at micromanaging the daily activities of working with a team of coworkers and staying at maximum efficiency. The holder of a business analysis certificate has proven their merit at completing the necessary courses and their ambition in chasing their goals. These tenacious attributes alone are a boon in the job force, proving that the job candidate can walk the walk as well as talk the talk. Not only do they gain these bonuses, but they also bring all the knowledge and lessons accumulated from those courses. In this economy, the bar has been raised for the average job seeker, and its no longer enough to do the bare minimum. Companies are looking for motivated, self-starting individuals who will prepare themselves for the rigors of a tough job independently and show up to the position with the knowledge, skills, and savvy needed to help the company accomplish their goals and advance their projects. Obtaining one of these certificates is proof that you can be the candidate the company wants, and that you’ll be able to roll with the punches, take the initiative, and continue to grow within the company. You’ll stand tall against the competition, and be able to prove your prowess – after all, no one wants a passive employee who’ll be comfortable where they are without wanting to push themselves! A certificate can prove your worth, teach you the skills you need, and impress any prospective employers all in one go; this achievement is both valuable and versatile! After a courtship, your beau finally popped the question and you’re planning to tie the knot. Congratulations! Being engaged and planning a wedding is one of the most stressful times of a woman’s life, but it can also be one of the most rewarding. You’ll find friends and family coming out of the woodwork to congratulate you and offer their support. One of the most troublesome parts of a wedding is deciding on a theme. Trends and styles come and go so fast, it can seem futile to create a beautiful wedding. Don’t despair: There are ways to make sure that your personal style and a representation of your love can shine through. The first hint of how your wedding will appear is through the wedding invitations that will be delivered to every guest. If you’re interested in finding the perfect invitation card, you should definitely check out the invitations by LauraK. Read on to find some of the most important and eye-catching features you can include. You and your partner are getting married; why not be the stars of the show? Your names being prominent on the invitation is a reminder of what the wedding is all about – a union between you and your future husband/wife. Not only is having your names on the card instantly noticeable for your friends and family, but it provides a visual anchor for the rest of the card. Many pieces of art or visual design are set around a centrepiece, and wedding invitations can take the same cue. Your names are also an extremely flexible element on the card that doesn’t have to fit one rigid standard. Do you want to emphasize your first names to focus on your unique love and partnership, or the last names to show how proud you are of the joining of your families? Is your wedding going to be a formal event that is elegant and refined in every way? If so, you can have your names in formal print. If you choose your wedding to be a more light-hearted affair, the font and location of your names can help give a more comfortable feel. No matter what, you can choose something to do with your names to enhance the invitation card. Your invitation card is meant to inform guests on the details of your events, but there’s no reason for you to have it be purely utilitarian. Whether you want to invoke a specific image or long for a more abstract feel to your invitation, the possibilities are endless. There are specific symbols that you can use on your card to symbolize unity, love, or togetherness such as a heart, a dove, an ampersand, a feather, or a sunrise. There are also more abstract symbols you can use, or just splashes of colour or partial images to tease the imagination of your guests and set the stage for a larger theme. These images can take centre stage, be less noticeable in the background, or wait in the wings on either the left or the right. No matter what you choose, an image will turn your invitation from bland and boring to spectacular and swoon-worthy. You can do more than just images: colour is a powerful tool to set the stage for your wedding. Having a late-night romantic event? Dusky, deep blues put the night sky in mind. If you’re having a beach event, warm oranges and bright teals contrast in a way that is pleasing to the eye and also invokes standing on the shore. With a winter event, you can go with soft greys and beige with a bright gold or jewel tone to remind the viewer of a beautiful white Christmas. Colour can say everything you want to express without using a single word. Minimalism and blank space are two important concepts in graphic design that can enhance a card without adding anything to it. If your invitation card becomes too visually busy, the overload of image, colour, and fonts can turn your invitation from eye-catching to eye-sore. Minimalism makes sure that your card only holds the essential elements, and strips away the excessive. This can make an invitation for an extremely formal wedding look high class and extravagant without draping the card with embossed materials or going overboard on fonts. Blank space follows similar principles. No matter how many ideas you have, you will never be able to fit them all in on one card. Blank spaces simultaneously hold nothing and yet add to an image. Neglecting it means your card will be too busy and crowded to stand out in the way you want. When it comes time to plan your wedding, be sure to start with the basics. 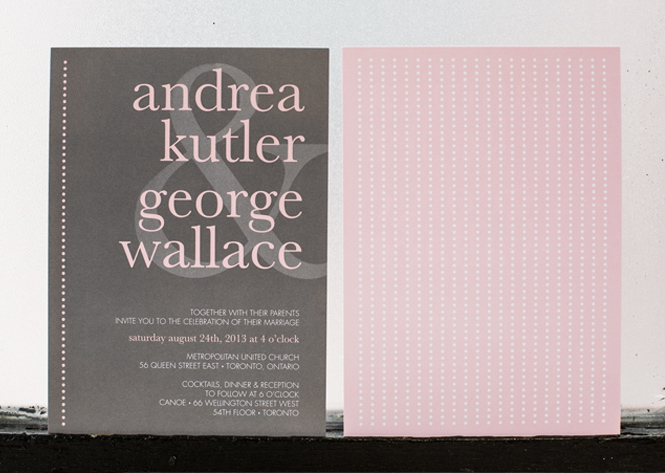 An invitation card is a great way to build a foundation for your themes and colours months before the day even starts. Don’t think of it as a bare bones way of conveying information to your guests; instead, look at how a wedding invitation can prep them for the day and stand as a testament to your love. Using these three ideas can help you put your ideas on paper to create a truly spectacular card that will remind people of your beautiful wedding for years to come.